Question – When you are scrolling through the feeds on your social networks, what’s more likely to catch your eye? A post with or without an image? We bet it’s the post with an image. We also bet that you looked at the image above before you even read a sentence. You may have heard the expression “a picture is worth a thousand words” , and with social media this couldn’t be truer. More value is added to images with the fact that the human brain processes visual information 60,000 times faster than text. You really don’t need to be swimming in money or hire an edgy photographer to fuel your creativity for some exceptional photos. Which is why we’re providing you with 14 top tips on how you can master photography for social media. Images are great but pairing these with stories is a powerful way of sharing experiences and knowledge. The reason you may want to post an image with a caption, short or long, is to make the audience care about your product or service. 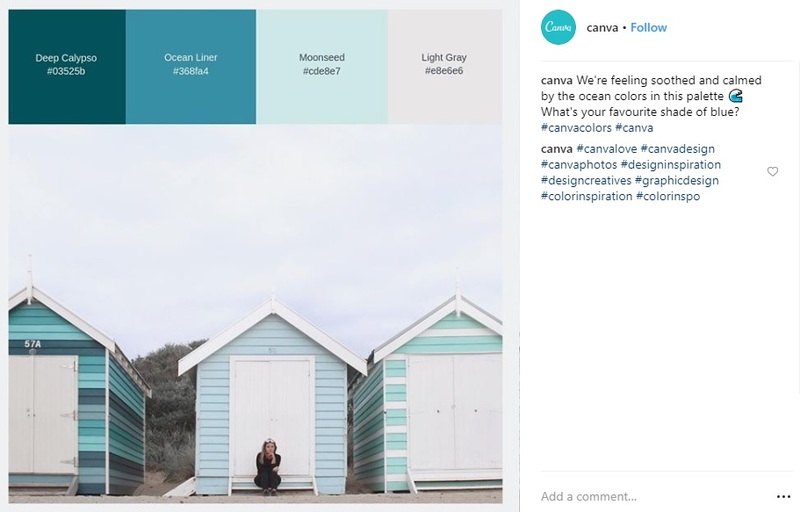 For example, canva uploads images with a summary of the image, generally with a relevant question to interact with the audience. This helps bring out the authenticity of your account and differentiates it to others because of the more personal approach. Narratives also help increase engagement as people can share what they think about your story, which is why you have to take it into consideration when posting a picture online. 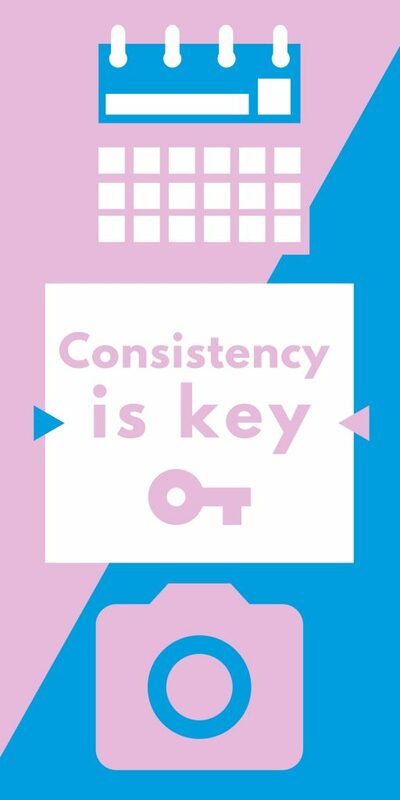 When it comes to seeing results with anything you do, consistency really matters. Post consistently at peak times. Take advantage of the perks of a business account on social media by understanding when your audience is most active. Once you’ve determined the most popular days and times, you can reflect this on your own activity and post accordingly. For example, if your Instagram followers are most active on Wednesdays, Thursdays and Saturdays between 6 pm and 9 pm, begin to populate your Instagram feed at these times. This way, you can build a posting routine and increase your overall engagement. Knowing this information will allow you to create a schedule that you can stick to. Consistency also relates to the images you are posting. Is your brand message being considered throughout all your photography? There are usually two approaches to social photography, simple or overkill. With social media, it’s ultimately about the visual appeal and how your brand is presented. Try not to confuse the viewers with tons of different things in an image. There’s enough overcrowded content on the internet, so having a simple layout is bound to be an effective and refreshing change for once. Thinking of your audience every now and then? Big mistake. Your audience is the reason your business is even on social media, so unless these users are on your mind before, during and after creating content for social, your time is wasted. It may take a bit of research but learning about your audience will allow you to understand what they’re into. If you get to know your audience, you can begin to create content which is more relevant to what they would like and engage with. Considering your audience impressions are important because if the engagement is higher on some photos compared to your posts, it can determine the direction of your content and the way you approach what you feature in the next post. It’s also important to also understand the psychology of your audience as this will reflect massively on the post engagement you receive. For example, on Instagram, pictures with human faces are 38% more likely to receive likes and 32% more likely to attract comments. This is because the human eye is naturally predisposed to recognize faces, so images with people’s faces in them are more likely to catch someone’s eye. If you’re considering using social media tools to help track and analyse what works well and what doesn’t then take a look at our blog on FREE tools to audit your social media. Do you remember Nike’s recent controversial Colin Kaepernick ad campaign? There might have been some backlash from this, but you can’t deny it was a genius move in terms of a social strategy. Nike consistently posts content which the audience can resonate with, eliciting an emotional response and therefore an attachment to the brand. Not only does this help increase customer loyalty, but it also enhances the values and meaning that is driving the brand. The three images below are taken from Nike’s Instagram page, all of which are paired captions that are motivational and heart-warming. It is important to see where your brand stands in terms of value, as it will shape the type of content you intend to post. For example, next time you are at a charity fundraising event you’ll think about taking a photo to help build your brand value. 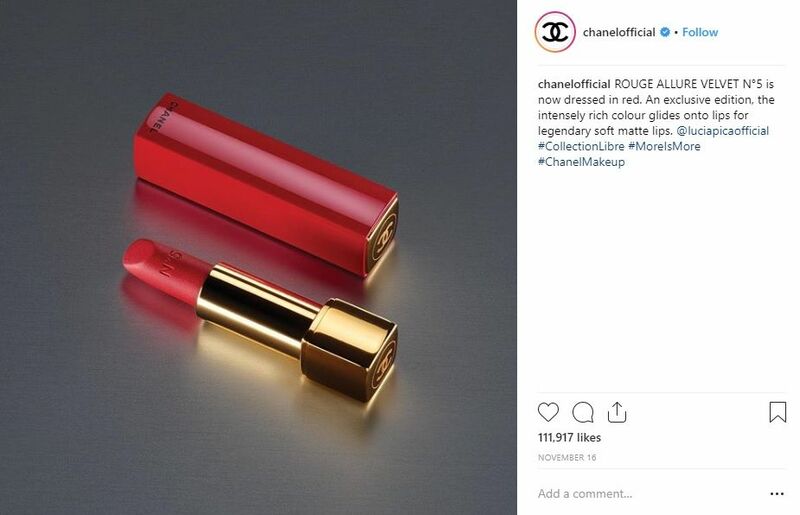 Or it may be that you want an influencer to get on board to spread the word about your brand – these methods might just shape your snapshots next time! Want to learn how you can take your social media influencer content further? Check out our blog here. The last thing you want to do as a brand is spam users with countless posts a day. For a business social page, we recommend posting 3-5 times a week to allow users to consume information without feeling hassled or annoyed. Can you reduce the quaity of posts you’re creating to take more time to create quality content? The central focus is a key element to successfully taking a bold and eye-capturing image. Getting your product or service to look as realistic as possible serves its own purpose because people can’t physically see it so you want to do the most to ensure it gets as close to that as possible. People love detail and when your social media platforms have high-quality images, your page is bound to become a favourite. Ensure you are manually focusing your camera to get an optimum result. 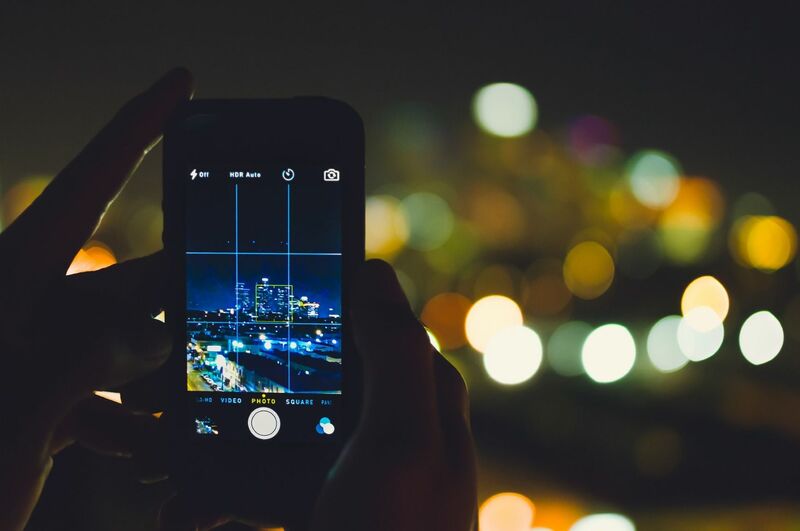 Whether you press the shutter button halfway on your camera or tap the touchscreen on your phone when taking a picture, these quick actions will allow you to achieve accurate focus each time. Do you want pictures that are out of this world? Consider these composition techniques when taking pictures and you’ll have a gallery full of art to show off to your social media fans. Image resolution is basically the detail which an image holds. The higher the resolution, the higher the image quality is. Ensure your pictures are at a high resolution – especially when you plan on uploading them to social media platforms. Consider the max image sizes you can upload to social media platforms. Of course, you can upload higher quality images, but certain social platforms may have size limitations. For example, Twitter only allows a maximum file size of 5 MB per image. Getting the right shot is important, but it’s what you do with the image afterwards that can really help raise some brows. If you take an extra five minutes out of your day to edit a picture, you’ll be on the right tracks in no time. Having the ability to edit images gives your photos the chance to stand out in its own unique way. We recommend using consistent filters when uploading onto your social platforms, especially if it’s Instagram, as people usually determine whether they are interested in following you based on your overall feed and how it looks. ‘Where do I start with editing?’ you may ask. 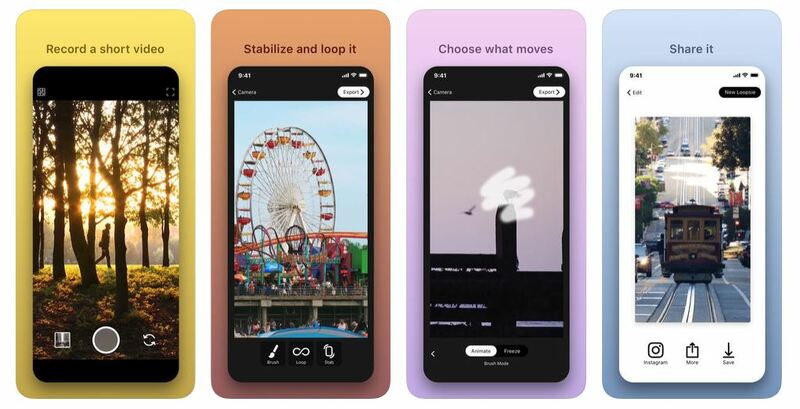 Here are three great editing apps which do the job perfectly to get your pictures looking fabulous as ever. If you’re curious to know how a certain filter would look on an Instagram feed, try out the Preview app, an app which helps plan and design your feed. All apps mentioned above are free, however, they do have optional in-app purchases available (such as filters, packages or additional features). 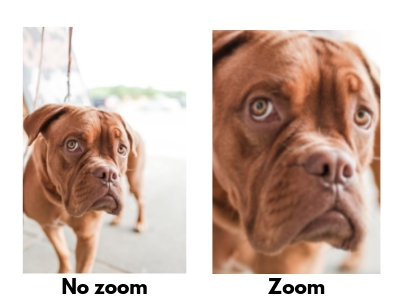 If you’ve taken photos using the zoom on your phone or camera you might’ve noticed a dramatic quality reduction, resulting in a pixelated image. The reason for this is because a camera zoom is digital rather than optical, which means that a small portion of the zoomed out version of the image is being enlarged and therefore appears much more blurred. Rather than zooming in, try taking pictures at different ranges of lengths and see which proximity you prefer when scrolling through the final shots. A simple tip, but you’ll think twice before you zoom in to get a picture. 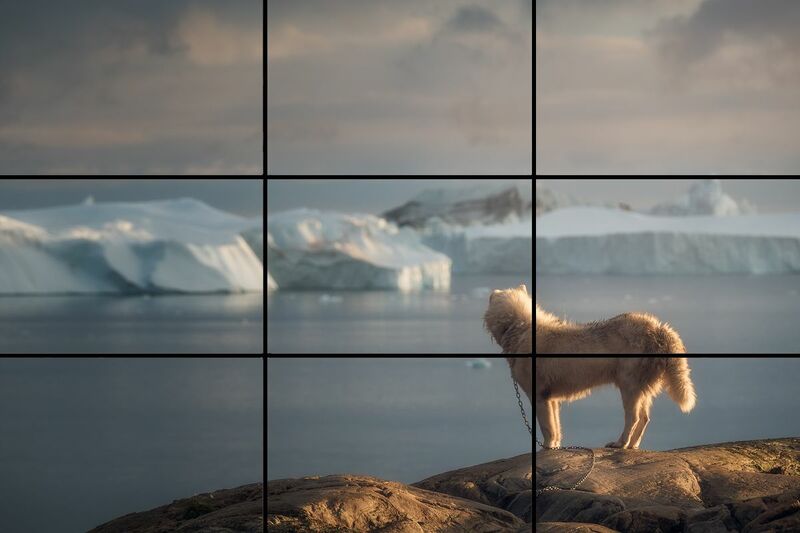 In other words, when you place an important element within the intersection points of the lined frame, you are applying the rule of thirds. The rule of thirds technique is great for some photos, but not for all. It can lead to making a creative and experimental photoshoot seem boring and technical, so use this technique sparingly to achieve great composition here and there for your social media layout. Lighting is crucial for pictures. If it’s too dark, it’s not capturing enough, if it’s too bright, it can possibly fade out the important elements. If you are taking a picture indoors, ensure the positioning of the light is just right. Use your camera to see how it will look like as an image, and continue re-positioning the light until you notice a flattering contrast on your phone or camera. Shadows – does your image have too darker shadows? Re-position your layout or change the lighting. Use flash – when you take pictures with flash, not only does it help with central focus, the image will also capture a high-resolution image and add to the quality of lighting. Manipulating light with editing apps – make use of the apps mentioned on my 11th point. If you love a photo but wish it was slightly lighter or darker, consider using an editing app to manipulate the lighting. This way you don’t have to sacrifice any of the images you already took. Go to great lengths by capturing photos that come alive. One of the latest trends is adding motion to still photos, which is a great feature if you are looking to woo your fan-base. Most of the latest Androids and iPhones have a Live Photo option when taking a picture. For Android, it is known as ‘motion photo’ which can be found in the camera settings, and for iPhones, the Live Photo feature can be found when simply taking a photo. There are also apps out there which you could get your hands on to start these creative alternatives to still images. Now that you have 14 tips in your bag, we are certain you are ready to master the photography on your social media platforms. Turns out all you need is a camera/phone and some time in your hands! As an agency, our social team specialises in organic and paid social media. If you’re interested in our team helping with your online marketing strategy, get in touch with us today. Elona always valued the perks of business and marketing ever since she was a teen, having participated in Peter Jones’ Tycoon in Schools Foundation, to managing, marketing and hosting charity events from a young age, and even until this very day, she is the Young People’s Ambassador for Leicestershire’s creative charity, Soft Touch Arts. Elona’s passion for marketing grew stronger after being given the opportunity to take part in social media boot camps and do work experience at Anicca in 2016. A couple of years later, she is our very own Social Media Executive. In her spare time, she likes to produce beats, writes songs and sings, all of which surrounds her social content with a creative and engaging spin.